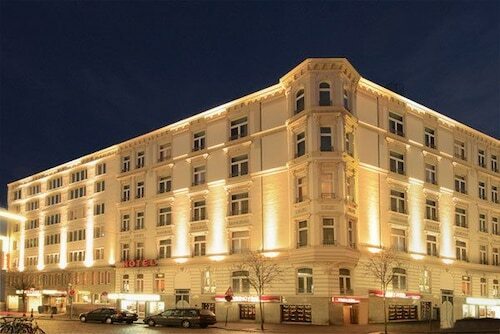 Located in Munich City Centre, this hotel is within a 10-minute walk of Karlsplatz - Stachus and Sendlinger Tor. Marienplatz and Viktualienmarkt are also within 15 minutes. Karlsplatz (Stachus) Station is only a 3-minute walk and Lenbachplatz Tram Stop is 7 minutes. 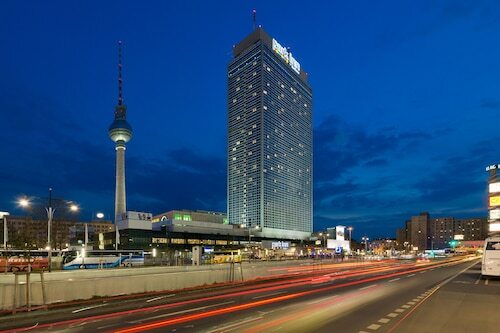 Located in Mitte, this hotel is within a 10-minute walk of Torstrasse, Alexanderplatz, and TV Tower. Hackescher Markt and DDR Museum are also within 15 minutes. Rosa Luxemburg Place U-Bahn and Alexanderplatz Station are within a 5-minute walk. 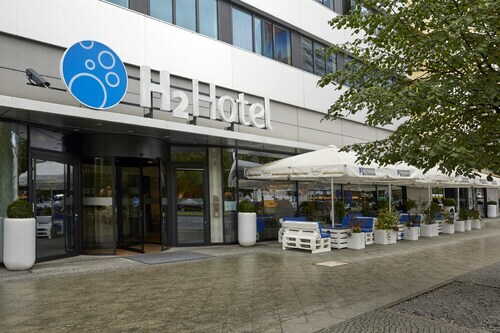 Located in Schoeneberg, this hotel is within 1 mi (2 km) of German Museum of Technology, Kurfürstendamm, and Potsdamer Platz. Berlin Zoological Garden and Department Store of the West are also within 1 mi (2 km). Bulowstrasse U-Bahn and Kurfurstenstrasse U-Bahn are within a 5-minute walk. 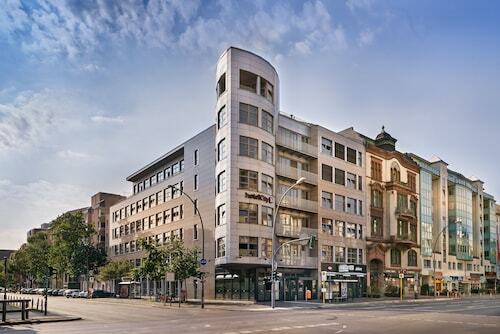 Located in Bahnhofsviertel, this hotel is steps from Kaiserstrasse and Financial District. Frankfurt Trade Fair and Staedel Museum are also within 15 minutes. Central U-Bahn and Frankfurt (Main) Central Station are within a 5-minute walk. 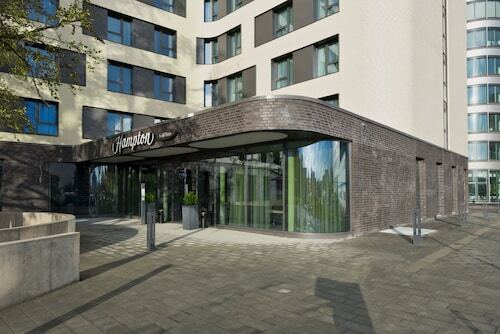 Located in Neukoelln, this hotel is 1.8 mi (2.9 km) from Huxley's Neue Welt and 2.7 mi (4.3 km) from Columbiahalle. Treptower Park and Tempelhof Park are also within 3 mi (5 km). Hermannstrasse U-Bahn is 5 minutes by foot and Hermannstraße Station is 6 minutes. 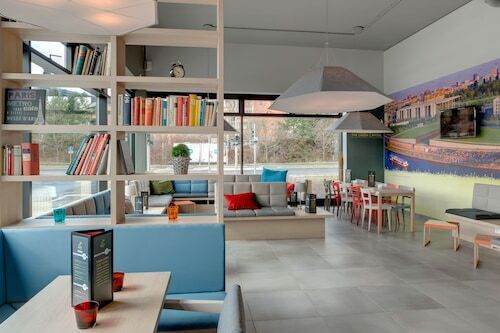 Located near the airport, this family-friendly hotel is within 6 mi (10 km) of Kopenick Palace, Kindl-Buhne Wuhlheide, and FEZ Berlin. Tierpark Berlin and Mueggelsee are also within 9 mi (15 km). Grünbergallee S-Bahn is 7 minutes by foot and Altglienicke S-Bahn is 23 minutes. 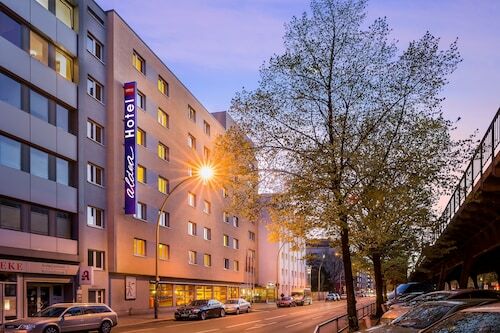 Located in Zentrum, this hotel is within a 10-minute walk of Leipzig City History Museum - Neubau and Gewandhaus. Leipzig Zoo and Arena Leipzig are also within 1 mi (2 km). Markt S-Bahn is only a 4-minute walk and Augustusplatz Tram Stop is 8 minutes. Located in Munich City Centre, this hotel is within a 10-minute walk of German Theater, Klinikum Grosshadern, and Karlsplatz - Stachus. Theresienwiese and Sendlinger Tor are also within 15 minutes. Central U-Bahn is 5 minutes by foot and Theresienwiese U-Bahn is 8 minutes. 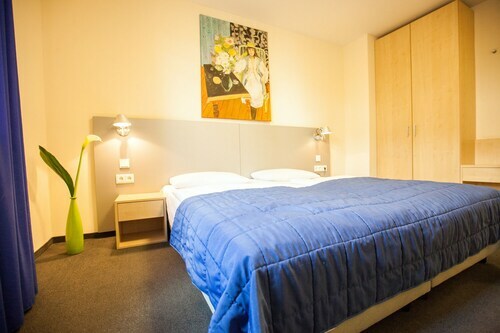 Located in Mitte, this hotel is within a 15-minute walk of German Chancellery, Reichstag Building, and Charite. Friedrichstrasse and Friedrichstadt-Palast are also within 1 mi (2 km). Central S-Bahn is only a 2-minute walk and Berlin Central U-Bahn is 2 minutes. Enjoy a truly European experience by visiting Germany, with its picturesque forests, rivers, and mountain ranges, it offers something for every traveler. Many hotels in Germany offer luxury and views of pastoral landscapes, such as the Bavarian Alps and the gentle curves of the Rhine and Danube. Visit the capital, Berlin, to explore the heritage of this ancient country, or try an evening excursion to experience the rich nightlife this city has to offer. For a more educational day trip, you can head out to the remains of the Berlin Wall, or the many locations which detail the effects of World War II. By booking a room at your choice of Germany hotels, you open yourself up to the deep, nuanced history of this long-lived nation. Moreover, you can discover the rich culinary delights that Germany has in spades. Enjoy a truly authentic experience in Munich with its beer gardens and local foods, from beer and bratwurst to marzipan and sauerkraut, your pallet will be pleased. Book a flight to Munich for late September for when the Bavarian city hosts an annual Oktoberfest. Here you can sample a vast array of local beers and take in a variety of German music. 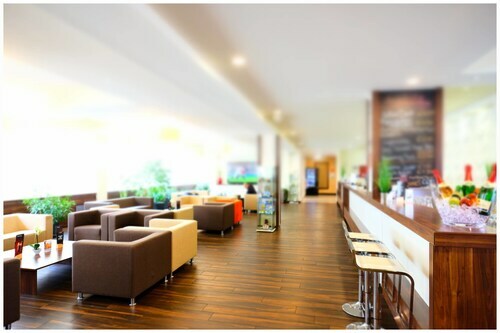 Book your hotel in Munich far in advance as the Octoberfest is well visited by locals and tourists alike. When you book hotels in Frankfurt, you get easy access to the Goethe House & Museum and Römerberg Plaza using the vast public transit system, which includes rapid transit, trams, buses, and an underground - or you can stay along the Main River and enjoy the waterfront scenery. The city also boasts an iconic skyline with its various tower and bank skyscrapers, the tallest of which is the Commerzbank Tower. When you book your German vacation through Travelocity, you can make use of our Price Guarantee - we will match any lower price and refund the difference. Travelocity even offers Frankfurt vacation packages and deals on other Germany resorts to make your trip easy on your wallet. How Much is a Hotel Room in Germany? 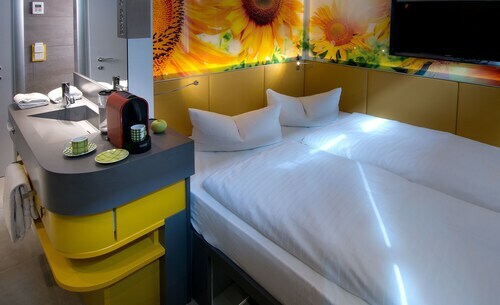 Hotels in Germany start at $47 per night. Prices and availability subject to change. Additional terms may apply. Staff was very friendly and multilingual. They had a full house due to a very large conference in Munich, but staff was still able to attend to everyone’s needs. Great night prior to a 10 hour trip. All was good. Thank you for the excellent stay in Frankfurt.